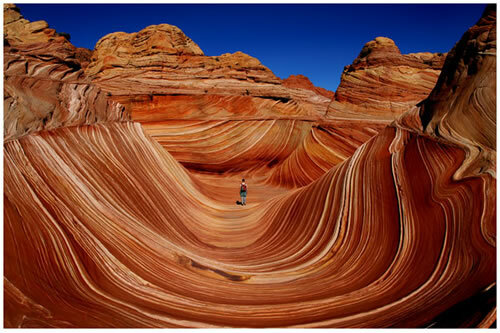 The Coyote Buttes are part of the Vermillion Cliffs National Monument and are half way between Kanab (UT) and Page (AZ). It is one of the least visited south Utah Parks and the reason is that is it is so precious that the Bureau of Land Management only gives out 10 permits a day! It took us three years to get a permit, but it was worth it!